Would you like to buy a Fast Pass? No, I’m not talking about a pass at a theme park to skip the queue, I’m talking within user-made games in Habbo. I received a helper request with someone asking for credits to purchase a Fast Pass in a giveaway…? Surely that is the most counter-intuitive thing I had heard in a long time and I couldn’t explain fast enough to the new player why she shouldn’t purchase one! Let me explain how Fast Pass, ‘Super Fast Pass’, ‘Ultra Fast Pass’ and VIP work, and why in my personal opinion you should never purchase them. This may seem slightly off-subject but I will get to my point if you stick around long to enough to read this whole article. On the 20th May 2017, the Tobacco Products Directive (TPD), put a restriction on the size of bottles of e-liquid with nicotine to 10ml. As someone who vapes and used to smoke, this is an annoying restriction causing lots of little bottles of vape juice to be carried around as opposed to one big bottle. Did this stop bottles of e-Liquid with nicotine over 10ml being sold? Yes. Did this stop people carrying bottles over 10ml with nicotine in? No, it certainly did not. The vape industry adapted to make bigger bottles possible once again. A shop can legally sell you a zero-nicotine bottle of liquid as a ‘short fill’ and nicotine in a separate bottle, which you pour in yourself – ergo bottles of e-liquid over 10ml with nicotine in. Back to the subject, There are three main events which are common for having FP: Bank Game, Deal or No Deal, and Giveaways. Bank Games – Fast passes available, but also insurance. Often players are safe from dying by rolling a 4 or getting P2K when a 3 is rolled. As someone who actually hosts a bank game often, I know more often than not that players don’t win great amounts even with insurance. I was recently in a bank game where every single player had insurance! At around 3c for both 3 and 4 to be protected, that’s 60 credits off the bat that the host had made! Odds are that he wouldn’t give out 60c and therefore profits from it. Deal or No Deal – One DOND I entered charged a whopping 50c for FP, 100c for SFP and 150c for UFP. If you didn’t get the message right away, don’t worry! His bot was spamming it enough in your face to remind you. There were 2 people in the UFP queue, 3 in the SFP and 5 in the FP queue. That was 850c he had made from the beginning with the most people able to win in one game being 100c. This particular host had a ‘norm’ line which he hardly ever opened, which had a maximum prize of 50c. This (mostly unused) queue was only there to entice people waiting FOREVER to purchase a FP of some kind. Did he give out 850c within that hour? No chance, it’s a long game. I saw one person in the UFP line win 100c once and that was it. Giveaway – Often players must roll a six, step on a banzai, and win what you land on. Except if you want to skip the queue you can purchase a FP for 20c and not have to roll a six. Odds are you will still land on a banzai with 1c on it, and remember that banzai teleports can be stacked to manipulate probability. This one baffles me the most – paying for a giveaway? Like what the hell! That’s not a giveaway. Often with a Fast Pass purchase, you join a group to get through the group gate into your FP line. There is nothing stopping the room owner from removing you from the group and picking all, taking all the credits and running, leaving you without a Fast Pass and your wallet lighter. Habbo has very clear outlines on user-made games and how to avoid being scammed with them. Let me take you back in time when I joined Habbo in 2007 (I’m basically a ghost of past Habbo). When I joined, there were no fansite events to speak of. Of course the best fansite (Habbox) was about, partying! Yet, there were only independent games. Whatever event you entered, there were many options. Let’s take a simple costume change for example: you could P2P (Pay to Play) and skip the line, joining the current game. When you lost the game, you had the options P2S, and Rev. Pay to stay and revenge. What would happen more often than not though, is you’d hand over furniture to pay to stay, however Player Z in the game is the host’s friend or even clone, and they would mysteriously always pay up to kick you back. The hosts of this era therefore often never had to hand out a prize and you had lost the furniture you paid to play/stay in a game which you had no chance of winning. Who says none of the players in the games which charge for Fast Pass are not the host’s friends? They could easily be in cahoots, therefore never exchanging credits for a Fast Pass and the host never handing over prizes to them. They could be splitting profits for their own personal gain. These hosts want people to queue up for a long time in the ‘norm’ line with the Fast Pass players skipping the queue and getting into the game each time – and you watching Player Z ‘winning’ 30c. It’s all manipulation, trying to get you to pay! With all three of the games I have explained, paying for a Fast Pass is gambling. You’re handing over credits to pay for games with a random outcome chance in hopes of winning more credits. They only have a ‘norm’ line in order to get around Habbo’s guidelines. Fast Pass is Habbo’s version of using the ‘short fill’ e-juice bottles to fill up larger ones. It’s a workaround for hosts to profit on YOUR gambling, and I promise you now: if hosts didn’t make a profit on these passes, they wouldn’t sell them. Don’t be silly! 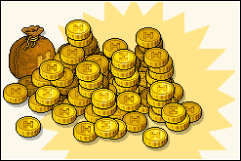 Come to Habbox events where you’ll never ever be charged a fee to play and people can play the games, first come, first serve. No tricks, no gimmicks! This article was great and incredibly well informed! I have seen a lot of these fast passes appearing in the places you mentioned… especially giveaways, a fast pass in a giveaway should tell anyone straight away it’s a rigged system. Everyone wants free furni, even me, and so once it is populated in the navigator more people begin to flock to it and then these owners exploit this “free” experience and profit. It doesn’t sound right because you are essentially paying for whatever it is that’s on show. So it’s not a give.. away? Personally I’ve never really bought fast passes, ultra fast passes of any kind not even those Special Visitor or VIP passes from agencies. However! I have sold fast passes in my maze. But I sold them at rates which I could not make much profit from. For instance, 5 credits would buy you the first tier fast past which lets you skip the main room as well as the first checkpoint, and the second tier fast pass let’s you skip the second checkpoint for 8 credits. The reason for me selling these fast passes is partly because my maze was in the process of being furni owned from builders clubs so it could last longer than having to constantly renew builders club and secondly it helped with paying out prizes to the winners and overall maintenance to rooms. An advantage for the buyer was that they were able to continue where they left off and if they did win then they would essentially be making triple maybe quadruple of what they payed for. I remember it being such a shock when you won and the owner would actually give you a prize, i used to have a rule of thumb only go to games if they had a low prize because the chance of it being paid would of been better. When i rejoined habbo i was in such awe with the amount of rooms that offered Fast passes, Still to this day i have never bought a fast pass and doubt i will. I love it when people do ‘Giveaways’ and make profit from Fast Pass… Sorry to inform you but it’s not a giveaway if you are MAKING PROFIT.